Kids Need Both Parents encourage shared parenting and believe if the child is not at risk, children do need both parents. However, circumstances can be uncontrollable and in some cases one parent may not bother with consistent contact with their child, or even worse, want no contact at all. There are many reasons why parents can walk away from their child. This would be due to low interest in their child, the separation was highly complicated therefore, it is difficult to stay involved or even alcohol or drug misuse. As the remaining parent, you may be either upset and angry or relieved there is no contact. However you feel, the absence of a parent can have a detrimental affect on your child and can create some difficult emotions. If these are not addressed, it can lead to long term issues in the future. 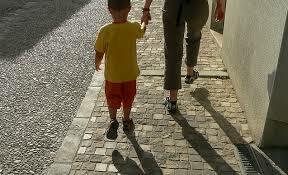 A common problem that can occur is that the child may think they are responsible for their parents absence. They can feel guilt and shame which may result in your child blaming themselves and believe that their parent’s absence is their fault. Or they can blame you for the other parent’s absence. How shall I deal with it? When a child loses their parent, this can be a very difficult time, almost similar to bereavement. However, the only way your child can deal and cope with the loss is, depending on the child’s age, telling them the truth to an extent that they can understand. Therefore, this will allow them to explore their emotions and you can support them in their ‘grieving’ process. This should prevent the problems above as they will have a better understanding of what happened. Try to use words and concepts that they will be able to understand depending on age ranges. Reassurance is a must as your child needs to know you still love them and that you will never leave. There may be anxiety issues or behavioural problems at first however, try to be prepared and be patient. Once your child reaches adolescence, they may start to ask more detailed questions about their absent parent. It is better to provide them with a more respectful response as the child may still experience their other parent as being a part of them. KNBP have both counselling and mediation for parents who are struggling with separation. We also provide play therapy and counselling for children which can help with the ‘grieving’ process.